Grosvenor Park occupies around 20 acres of land next to the River Dee. It is one the finest examples of Victorian parks in the UK. 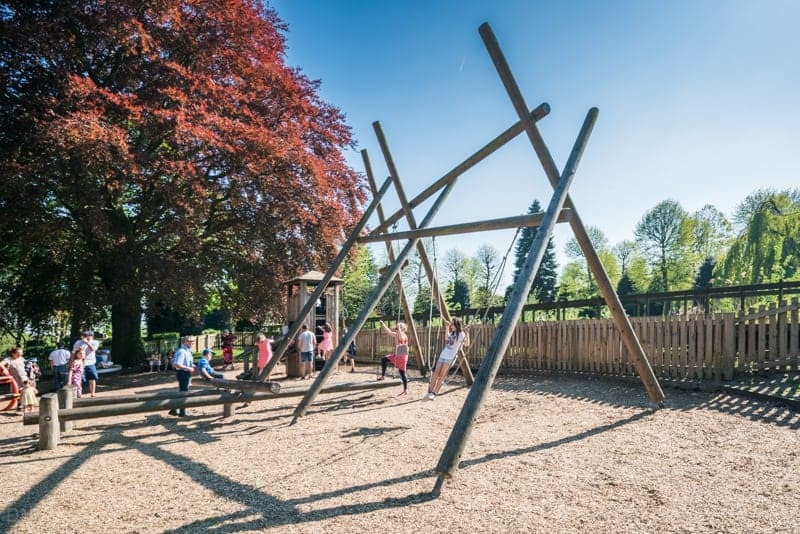 The park opened in 1867 on land given to the people by Richard Grosvenor, the Marquess of Westminster. It was designed by Edward Kemp, a notable English landscape architect at that time. The higher reaches of the park, towards the city centre, are flat and feature sweeping lawns, ornamental flower beds and formal avenues lined with lime trees. In contrast, the slopes near the river offer meandering shady paths and the occasional remnant of a medieval building. Billy Hobby’s Well is tucked away in the south-eastern corner of the park. It is reputed to have magical properties. 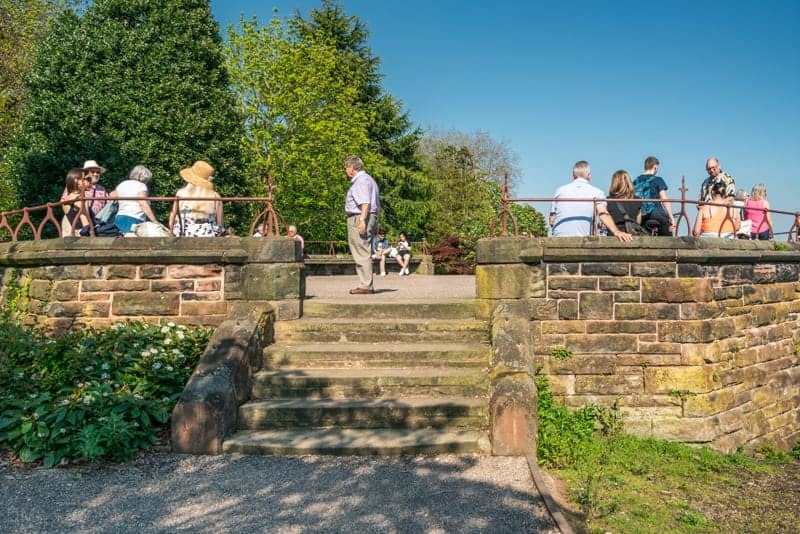 Nearby, the Belvedere is a raised octagonal viewing platform with good views of the River Dee. Grosvenor Park Lodge is a Grade II listed building, completed in 1867. The black and white timbered building is adorned with statues of the Earls of Chester. It was designed by John Douglas, an architect responsible for many buildings in Chester. Part of the lodge now functions as the park’s cafe. 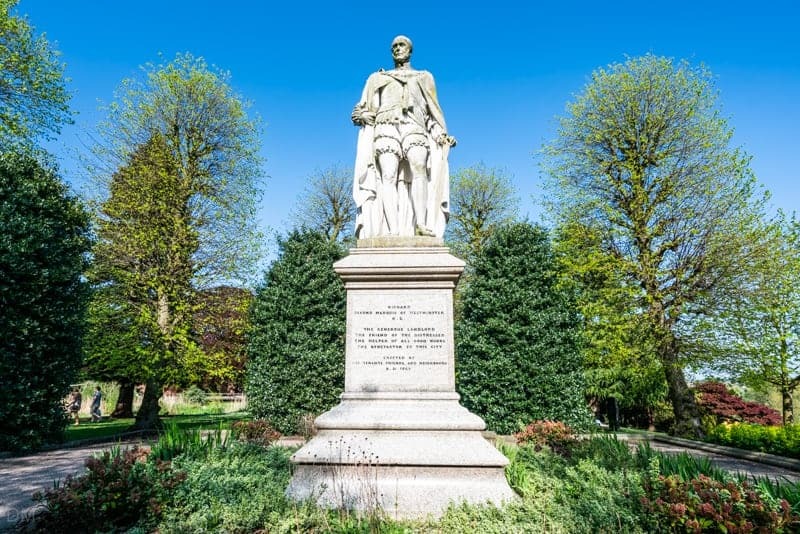 A magnificent statue of the Marquess of Westminster enjoys a prominent position at the centre of the park. It was originally surrounded by two pairs of guns, one captured by British soldiers during the Boer War and another taken in the Crimean War. Unfortunately the guns were removed during WWII and the metal used for munitions. The central lawns are great for picnics and relaxation. 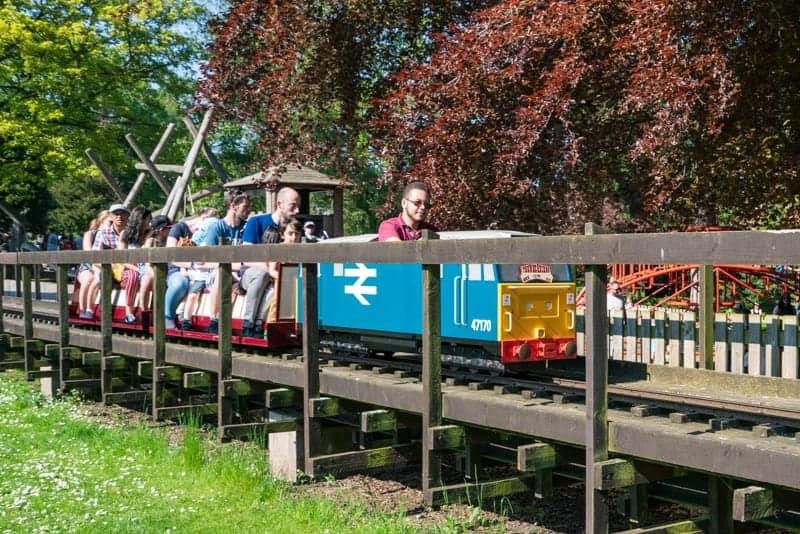 At the eastern end of the park there’s a great children’s play area, a pond, and the Grosvenor Park Miniature Railway. In the summer months the park is the venue for events such as the Grosvenor Park Open Air Theatre. Produced by Storyhouse, it is one of the most popular outdoor theatres in the UK. 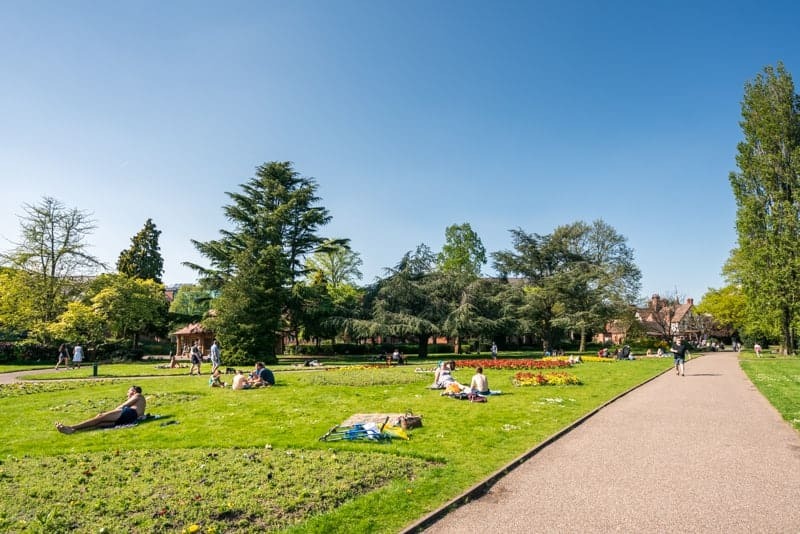 Grosvenor Park is open every day from 8 am until 6 pm (7 am to 8 pm in the summer). The park is situated at the south-eastern corner of the city centre, just north of The Groves and the River Dee. There are entrances on all side of the park. The nearest parking is at the NCP car park on Pepper Street (postcode CH1 1DF). 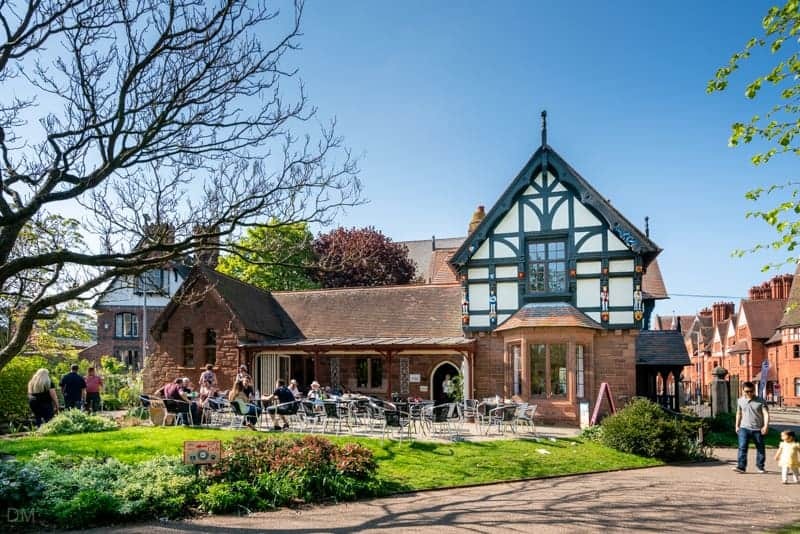 There’s a good selection of places to eat and drink at The Groves, just south of the park. 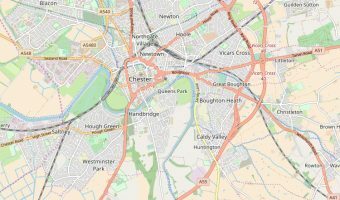 Grosvenor Shopping Centre (0.3 miles) - Shopping centre in the heart of Chester. Map showing location of Grosvenor Park. I viewed the Park on a beautiful April Spring day and it took my breath away. It is one of the prettiest parks that I have ever seen, and so well kept. You can walk down to the River Dee from the park. There’s a bandstand on the banks of the river where jazz bands and other musicians give free concerts. This has got to be one of the most beautiful parks in England. There’s lots of impressive statues, large lawns and a fantastic rockery. I love coming here for a walk on a sunny day.